Jenison High School Media Center Gets a Face-Lift! 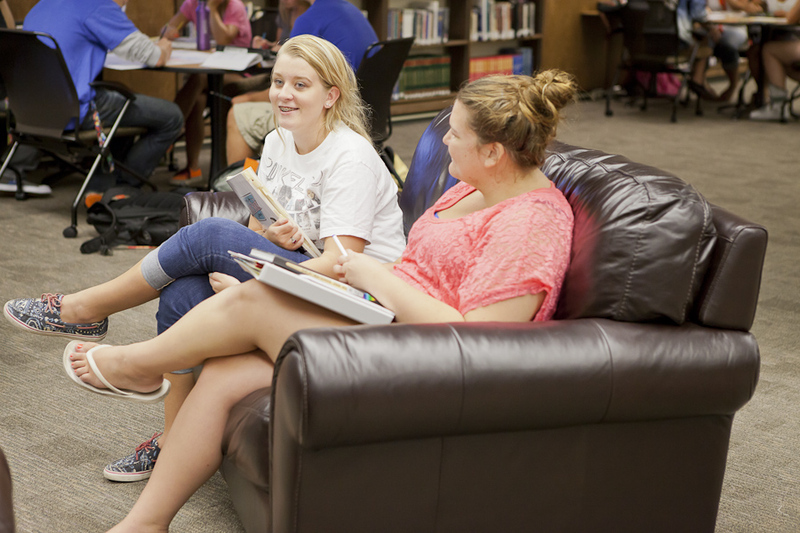 Thanks to monies brought in by our bond proposal, the “library” that hadn’t been touched in decades was re-imagined and brought into the 21st century with the kind of forward-thinking that will help shape student learning for years to come. 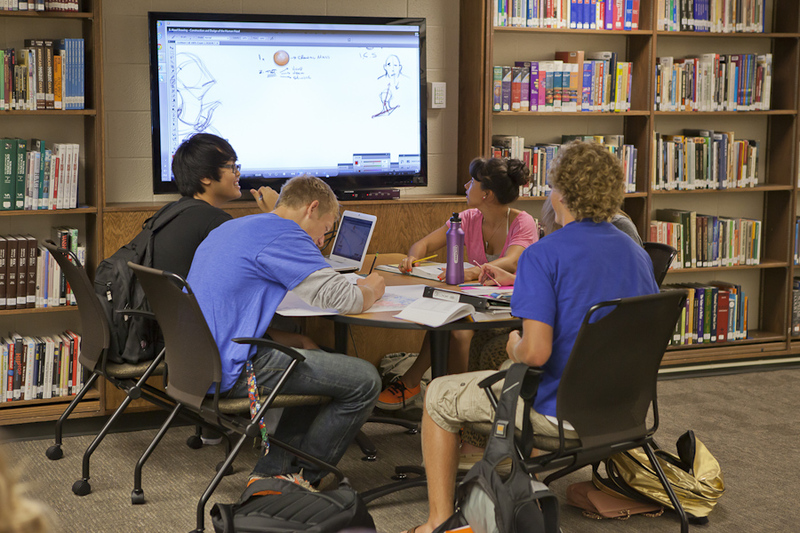 Six large, flat-screen television sets are mounted on the walls for computer hook-up, creating alcoves for study and collaboration. 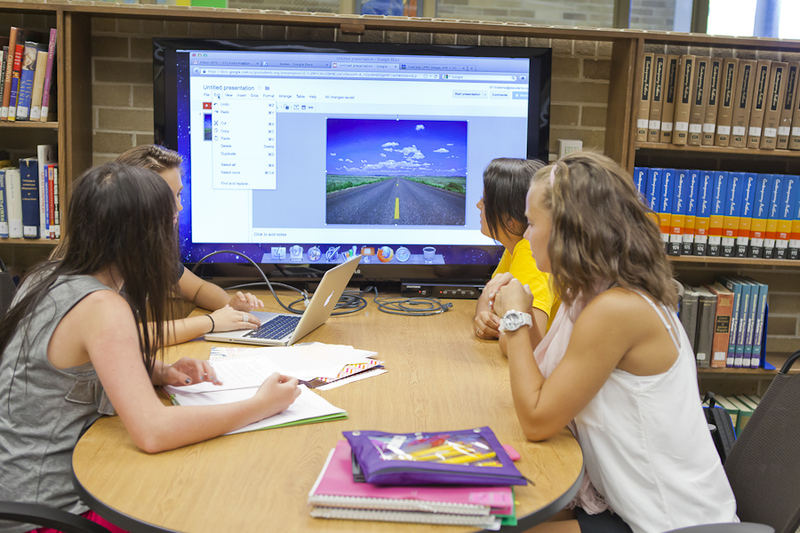 Now, rather than four students gathering around one small computer to work on a group project, those same students can connect a single computer to the TV and have their document or presentation displayed for all to easily see. Access to information means that more voices can join the conversation and play an active role in scholarship. Scores of tables and chairs on casters were also added, allowing students to reconfigure their workspace to fit their needs. Floor space can be easily opened up if physical space is demanded, and groups can come together by merely rolling tables and moving chairs. Additionally, desktop computers were situated in an open section of the media center to preserve a traditional “lab” housed within the media center. 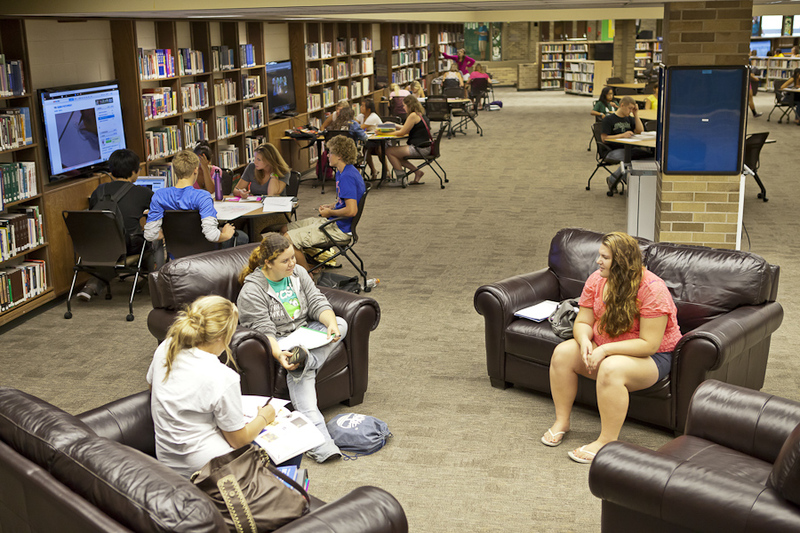 “I think our media center more closely resembles many business environments now. More and more we’re seeing offices move away from cubicles to a more collaborative setting, and providing that for our high schoolers is just one more way that we’re preparing them to be team players and contributing group members after they graduate, “ explained Jenison High School principal Brandon Graham. Library face lift looks great! I see the “4 to a table” rule no longer applies. When did that rule die. I know when I graduated in 2001, it was still a constant thing we heard.